In 1948 Morris Motors took the world by storm with its all new Morris Minor which brought new standards of refinement to small cars. 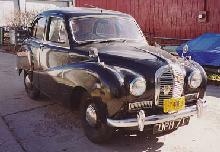 Austin, who at the time were arch enemies of the Nuffield Organisation (owner of Morris) , quickly realised that they needed their own small car to compete with this newcomer. 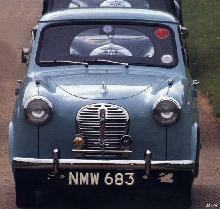 In 1951 Austin unveiled its answer to the Minor, the Austin A30, powered by an all new 803cc, four cylinder, OHV engine known as the A-series. Ironically the A30's new powerplant found its way into the Minor's engine bay as the two rival companies merged in 1952 to form BMC (British Motor Corporation). The A30 was a much smaller car than the Minor, its narrower body providing accommodation for 4 people and came only as a 4 door saloon to start with. 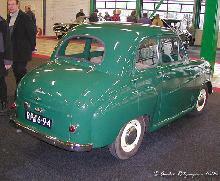 In 1953 a 2 door saloon arrived and from 1954 a Van and estate car known as the Countryman became available. 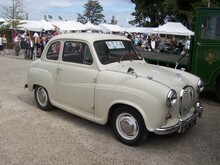 The little A30 sold well throughout its production life despite its odd balance of modern styling and antiquated rod operated brakes, in 1956 the more powerful A35 arrived after over 222,000 vehicles had been built. Practical Classics January 1993 - Featuring Buyers Guide Austin Babies. Click Here to view in our shop. Despite originally only being offered as a 4-door saloon, 2-door variants were introduced in 1953, and in 1954 a van and van-based "countryman" estate were made available, which would also later become the basis of a rather odd looking utility. Despite having a smaller loading capacity than the equivalent O-type Minor based vans (60 cu ft / 18.3 cm3 as opposed to 76 cu ft / 23 cm3) the Austin van offered the same payload. Being slightly lighter and stiffer, it was favoured by businessmen, and saw long service for many. An A35 Van (with a number of inconsistencies) recently appeared in the big screen debut of Wallace and Gromit. 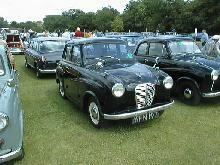 It was replaced by the A35 in 1956 after having sold nearly ¼ million units.